Dr. Mike Melkers, who will be presenting on the BiteFX Insiders' Secrets and Tips Webinar next month, asked that we extend the canine guidance animation to show the lower canine moving outside the upper canine. 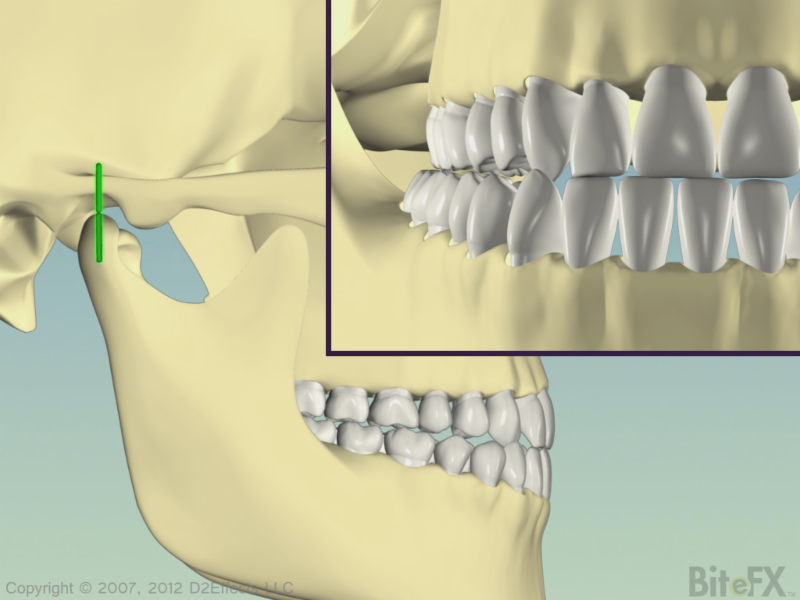 That's what this animation delivers and can help you explain how far the jaw can move sideways, how poor restorations might allow the other front teeth to slam together in crossover and thus another factor you consider in making your restorations. Thank you Dr. Melkers for your input on producing this animation!